Leica M-Cameras are legendary – and deservedly so. The next chapter in their history has now begun, with the Leica M (Type 240). The rangefinder and their compact size allow them to get closer in order to silently and discreetly capture the essence of events as they unfold. Moreover, this model delivers the best pictures in every situation, even when shooting in unfavourable light. In combination with high-performance M-Lenses, they capture every moment in superior quality and clarity. You now have the chance to discover all this for yourself with the exclusive YOU AND LEICA M test drive. 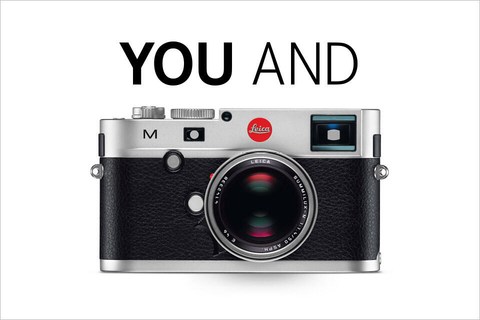 Until 10.31.2014, selected Leica dealers will be offering you the opportunity to experience photography with the latest Leica M. A Leica expert will provide any advice and help that you may need before your ‘test drive’. Share your pictures with photo-enthusiasts around the world with the hashtag #YouandLeicaM on Twitter and Instagram. This unique opportunity will let you experience what photography with a Leica M is really like. You can download the PDF with your personal invitation to the Leica M test drive on the button below. Simply print out a copy and show it the next time you visit one of the selected dealers taking part in this promotion and enjoy your exclusive Leica M experience.